in “The Explorers Garden Route” towns like Still Bay, Riversdale, Albertinia, Heidelberg, Slangrivier, Witsand, Gouritsmond & Jongensfontein. Hessequa can be found at the tip of Africa in the Southern cape. The Explorers Garden Route forms the first region as you enter the very popular Garden Route of South Africa. The Hessequa region starts at about 280km from Cape Town on the tip of South Africa. Explore this beautiful region that lies between the Langeberg Mountains and very popular Blue Flag beaches of the Indian Ocean. Find accommodation on the GR&KK official App to come and experience and explore this safe unspoiled region. Garden Route and Klein Karoo one of the most beautiful stretches of land in Southern Africa. 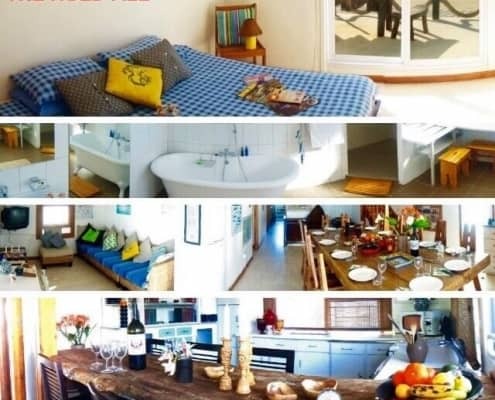 Comfortable, luxury self-catering multi-storey holiday house in the incredibly beautiful coastal village of Jongensfontein. A mere 9 km from Still Bay in the Hessequa area of the Western Cape along the Garden Route with its unique fynbos. This hidden jewel is huddled against the steep terrace-like hillsides above the rocky shore typical of this part of the coast. A fisherman's paradise and surfer's heaven offering the inhabitants the most spectacular views of the sea and the waves breaking on the rocks. 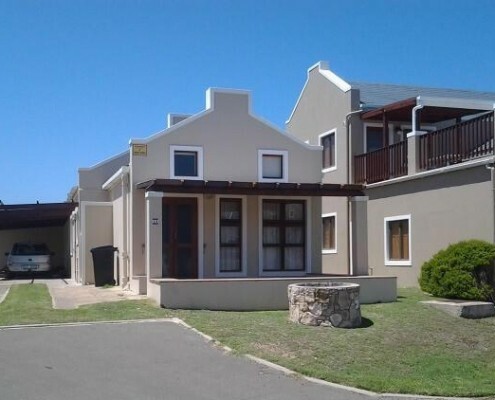 Neat, cosy self-catering double-storey sea house right above a popular surfing spot in Jongensfontein. 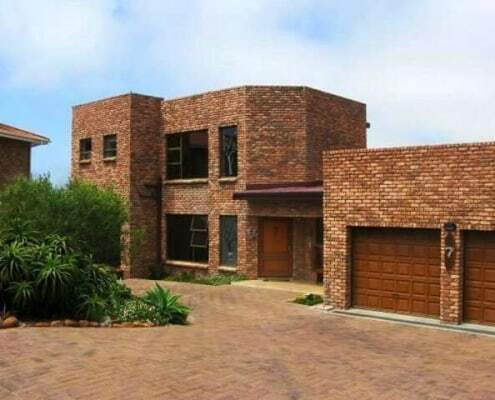 A coastal holiday destination in the Hessequa area, Western Cape along the Garden Route. A pretty picture what with its dwellings nestled against the steep hill slopes above the rocky shore. Only 9 km away from Stilbaai, another popular holiday town with many shops and restaurants as well as banks, doctors and much more. This beach house can sleep 6 – 9 people and also offers a baby cot. 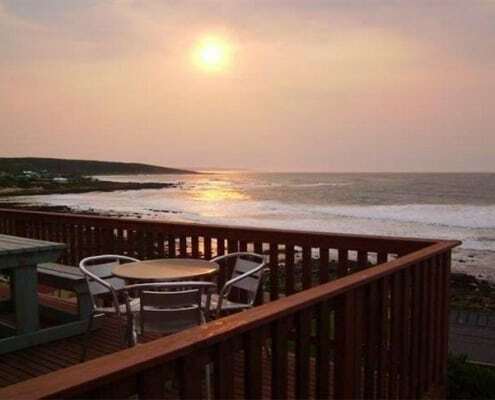 Comfortable self-catering holiday accommodation in the Lappiesbaai Resort in Still Bay East. A popular coastal holiday destination in the Western Cape, South Africa along the Garden Route with its unique fynbos vegetation. 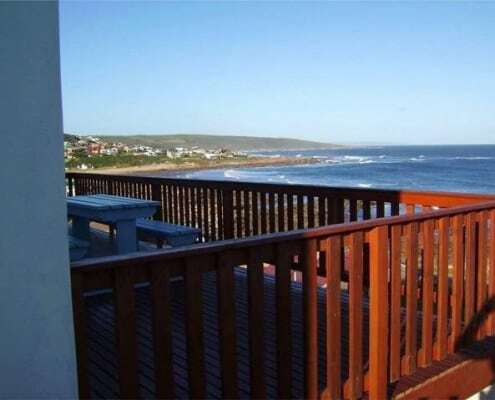 Situated behind the first dune from the sea and about 200 m from the Lappiesbaai blue flag beach. The town of Still Bay is huddled around the Goukou River mouth into the Indian Ocean thus offering a large variety of water related activities. Luxury upmarket self-catering holiday accommodation in Still Bay. Favoured coastal holiday destination in the Western Cape, South Africa along the well-known Garden Route. Developed around the Goukou River estuary and offering various exciting opportunities to water sport lovers. 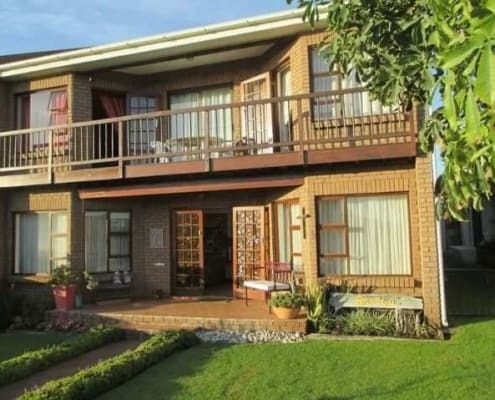 Located in the Heights in Still Bay West with incredible views of the river, the estuary and the ocean. Cleverly designed, neat, clean, modern, luxurious and full of light self-catering apartment in Still Bay. 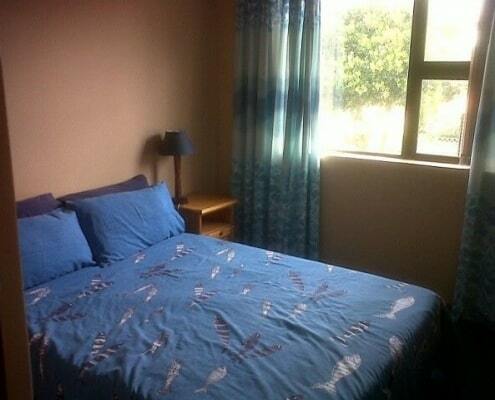 Tastefully decorated and amply equipped with modern furniture and appliances on the first floor of a small block. 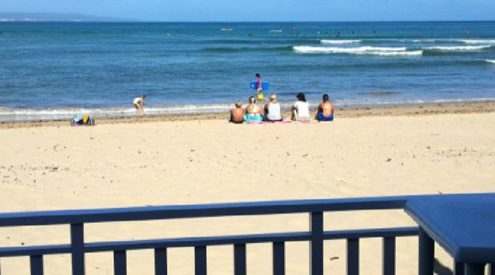 This self-catering holiday accommodation for two is a few minutes' walk away from the safe blue flag western swimming beach. It is also near the Still Bay harbour, the golf course, tennis courts as well as interesting hiking trails in the Skulpiesbaai Nature Reserve. 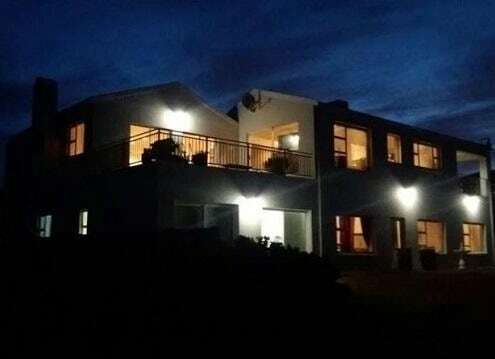 Self-catering holiday accommodation in Still Bay, popular coastal holiday destination in the Western Cape, South Africa. It consists of 3 luxury apartment which together can sleep 10 people. 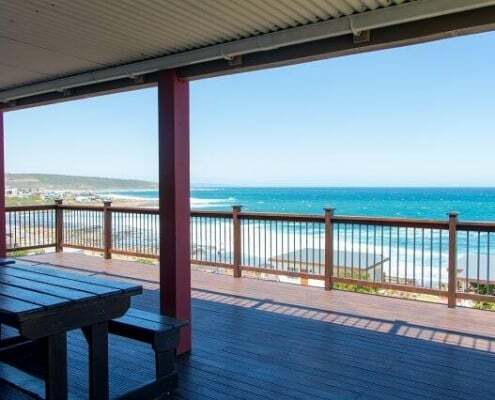 The balcony offers a beautiful view of the bay and one can actually see the waves breaking on the Lappiesbaai blue flag-beach on the eastern side of the bay. 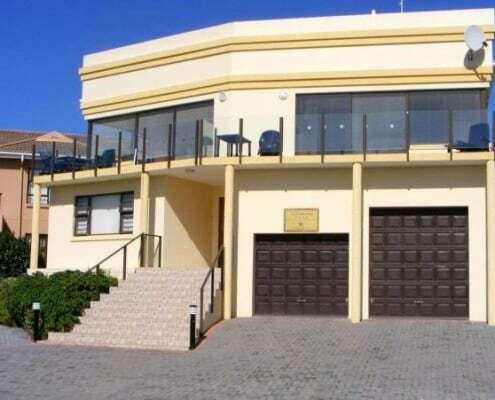 This self-catering accommodation is within close proximity of one on the blue-flag beaches on the western side of the bay. 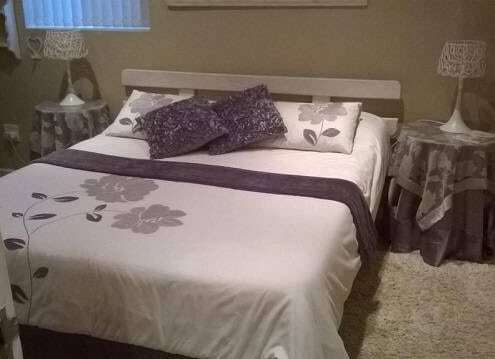 Guest house or Bed & Breakfast (B&B) accommodation in the heart of Still Bay. A flourishing coastal village in the Hessequa area in the Western Cape Province, South Africa. Spread around the estuary of the Goukou River where it meets up with the Indian Ocean. Popular with water sports enthusiasts because of all the possibilities and potential opportunities for all types of water sports. Still Bay has two blue flag beaches, one on either side of the river mouth, offering lovely long strolls along endless stretches of sand. 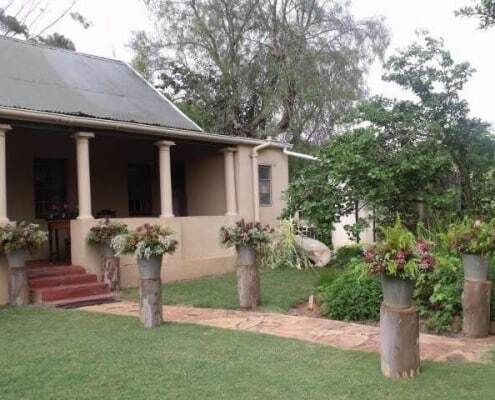 Self-catering holiday flat sleeping 4 – 6 guests in Still Bay. Remarkable little coastal town in the Hessequa area in the Western Cape, South Africa. Along the ever striking Garden Route and holiday destination of choice. Still Bay is located around the mouth of the Goukou River entering the Indian Ocean. The river estuary, with a blue flag beach on either side, offers a variety of exciting water sports, fishing as well as strolling along the river banks and white beaches. Step out of the house right onto the Son-en-see Blue Flag beach. De Villa is one of the few houses in Still Bay West conveniently situated right on the beach. This self-catering holiday home has an open-plan living area that extends to the outside by means of a wooden deck. It has spectacular unbroken views of the beach, several water sport activities as well as absolutely breathtaking sunsets. You literally step off the deck directly onto the beach and have a swim or tan right in front of the house. Self-catering accommodation for two in the quiet Kloofsig area in the growing little coastal town of Still Bay. In the Western Cape along the Garden Route. Sitting up on the hill which allows for fabulous views over fynbos, all the way to the river and the sea in the background. Being in a residential area, traffic is limited, but birdsong and other natural sounds are the only noise.